Hi there! It’s Maryanne from The Little Epicurean. Every new year, I vow to make more home cooked meals. However, with my family’s busy schedules, it’s not always possible. It’s time we change that! 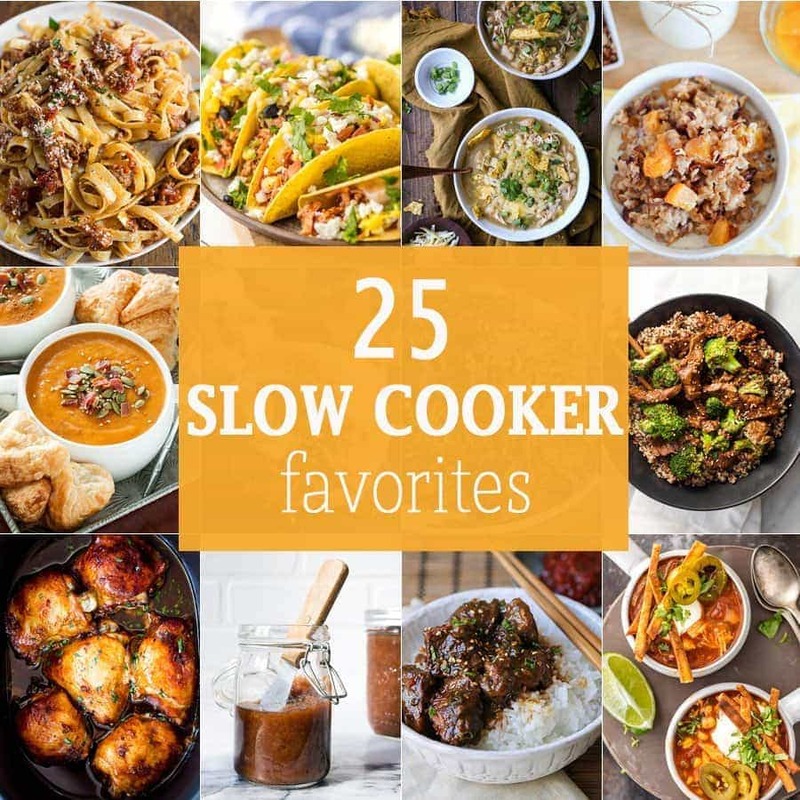 Today we’re sharing 25 slow cooker favorites to ensure a hot dinner is always within reach. 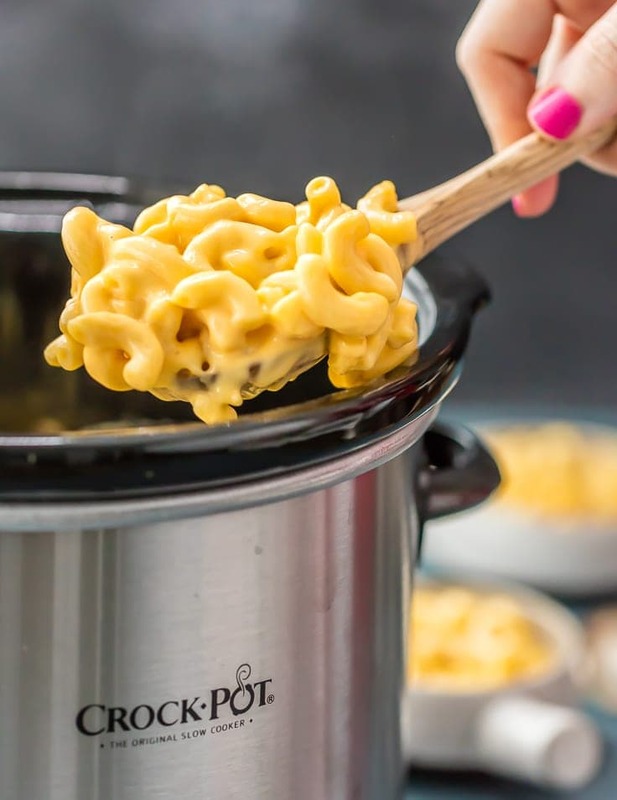 Slow Cooker Macaroni and Cheese | The Cookie Rookie; Macaroni and cheese is one of the best comfort foods around and made even easier in the slow cooker! 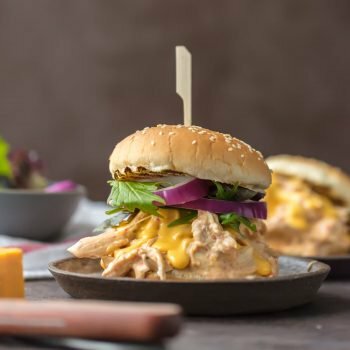 Slow Cooker Rotel Dip Chicken Sandwiches | The Cookie Rookie; These spicy, cheesy chicken sandwiches made in the slow cooker are bursting with flavor and tons of spice thanks to my Rotel dip! 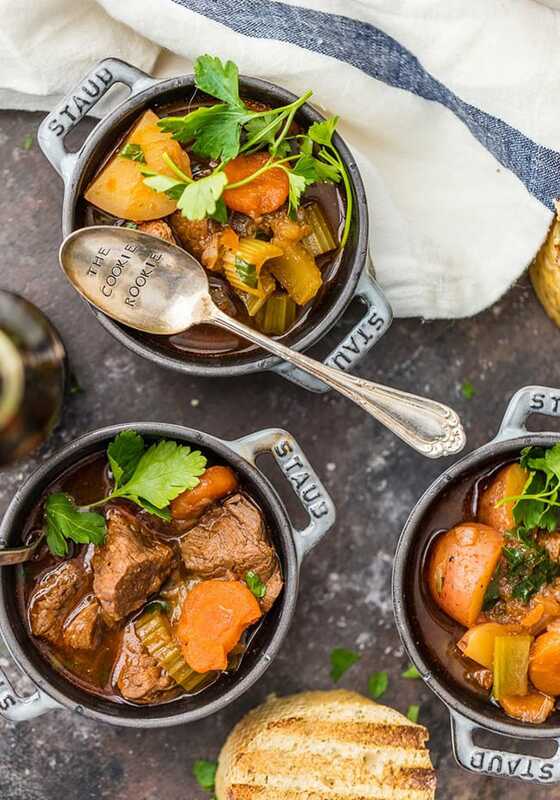 Slow Cooker Guinness Beef Stew | The Cookie Rookie; This slow cooker Guinness beef stew is a favorite Irish beef stew recipe in our house! 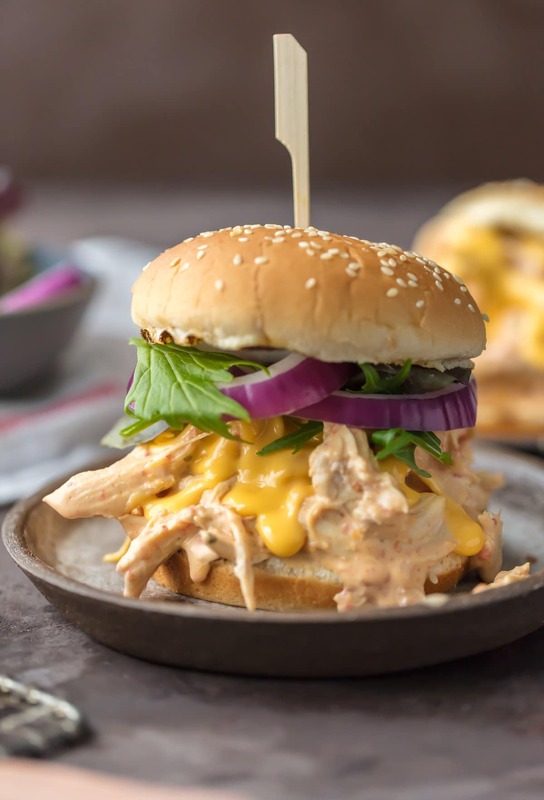 Slow Cooker Honey BBQ Chicken Tacos | The Cookie Rookie; These slow cooker honey BBQ chicken tacos are an easy family favorite dinner recipe. Top with mango, black beans, cheese, and more! 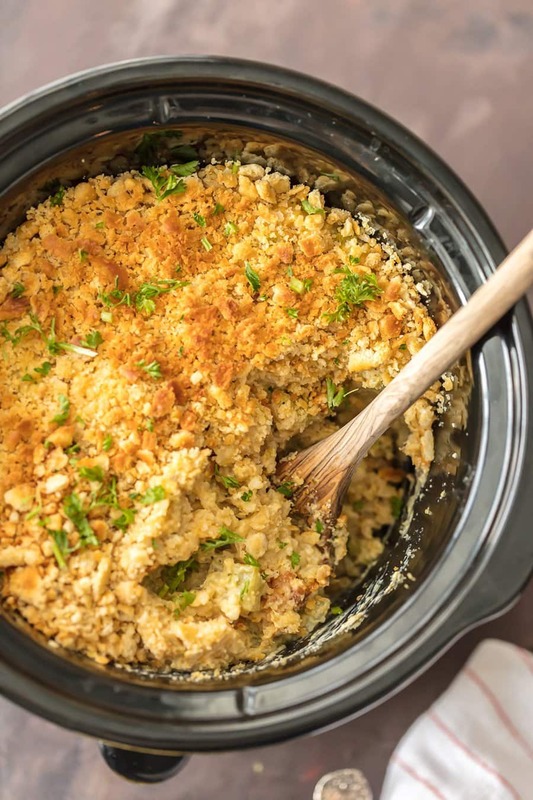 Slow Cooker Broccoli Rice Casserole | The Cookie Rookie; This slow cooker broccoli rice casserole is a favorite in our house for Thanksgiving and Christmas family festivities! 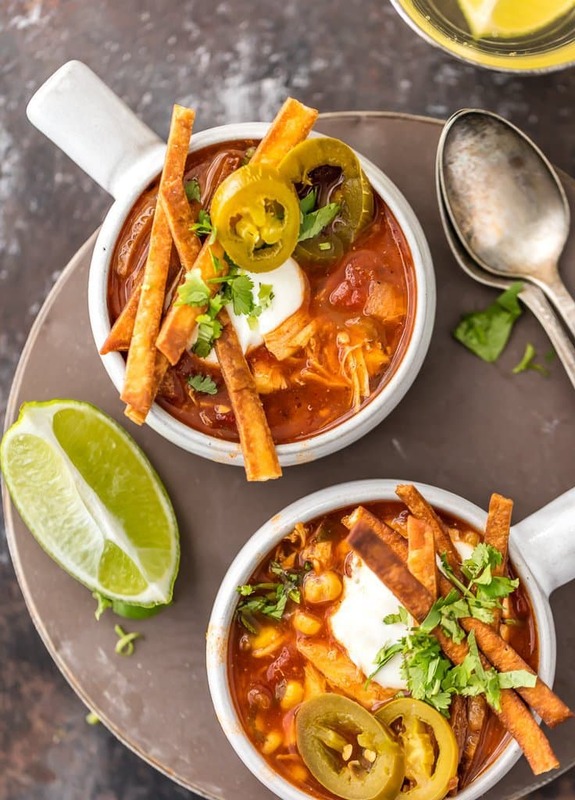 Skinny Slow Cooker Chicken Tortilla Soup | The Cookie Rookie; Skinny slow cooker chicken tortilla soup is spicy, easy, and delicious. 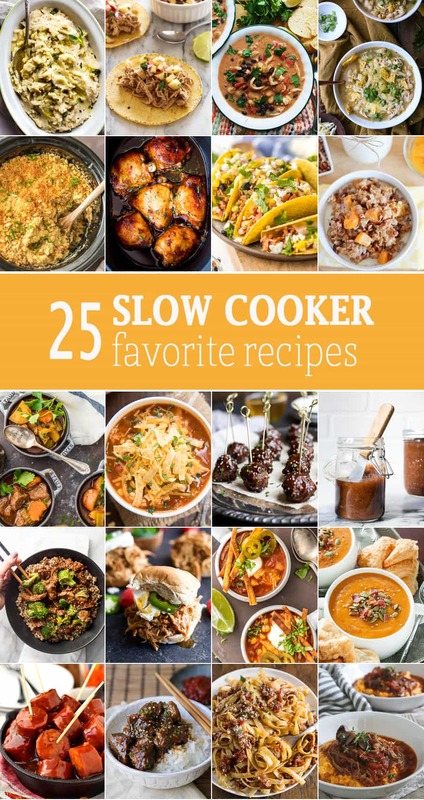 It’s perfect for spicing up chilly nights! Slow Cooker Peach Oatmeal | Yummy Healthy Easy; Healthy oatmeal cooked right in the slow cooker. 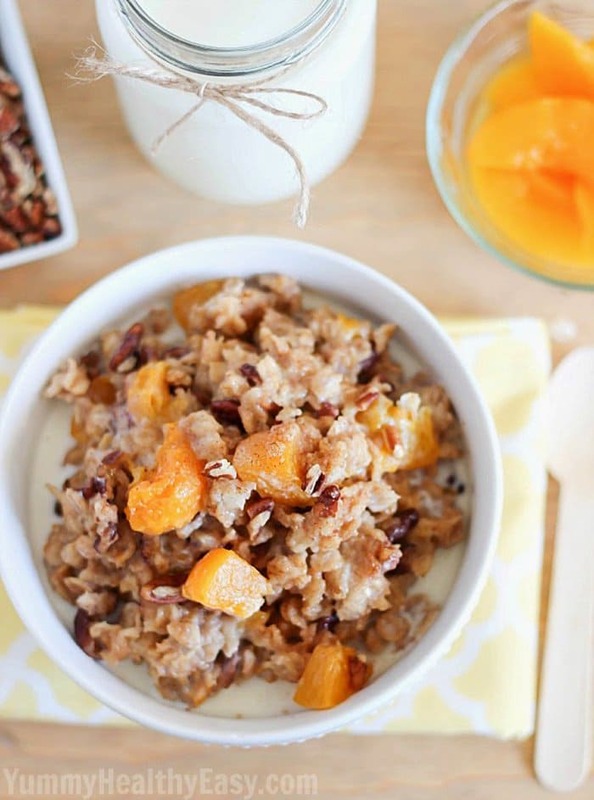 Top this slow cooker oatmeal with peaches and cream! 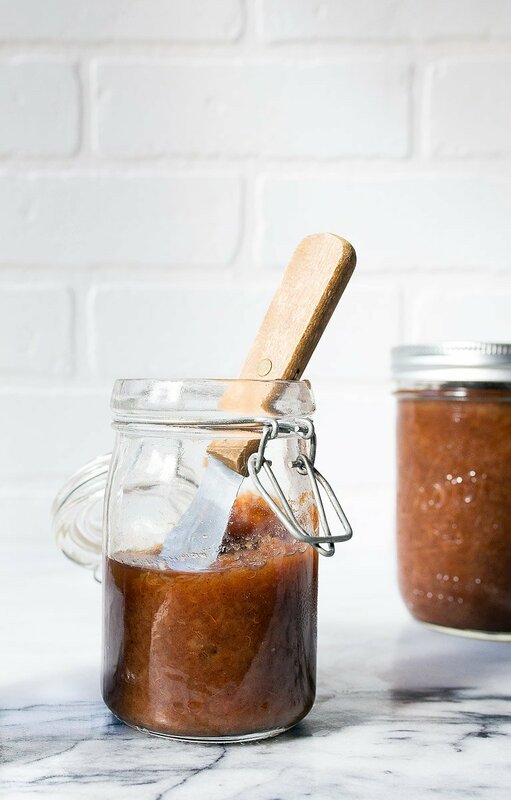 Slow Cooker Apple Butter | Dessert for Two; This recipe for small-batch slow cooker apple butter uses your favorite apples and makes just enough to enjoy! 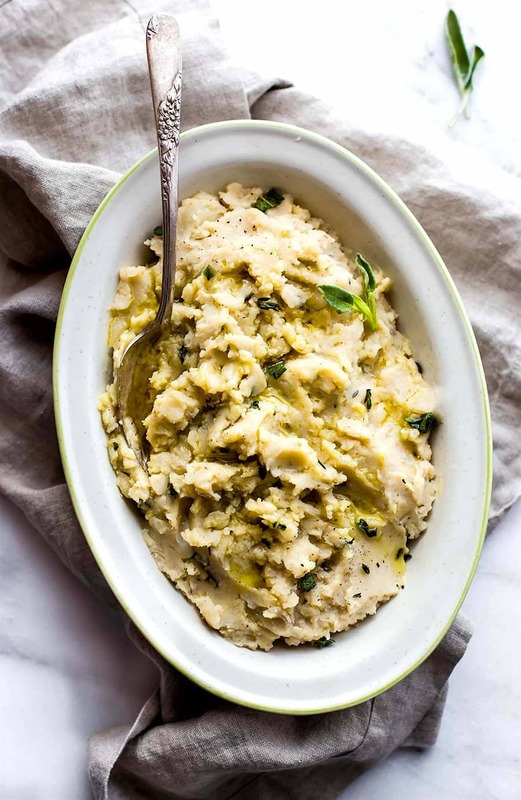 Vegan White Bean Slow Cooker Mashed Potatoes | Cotter Crunch; These slow cooker mashed potatoes are made with a creamy white bean puree – a vegan side dish everyone will love! 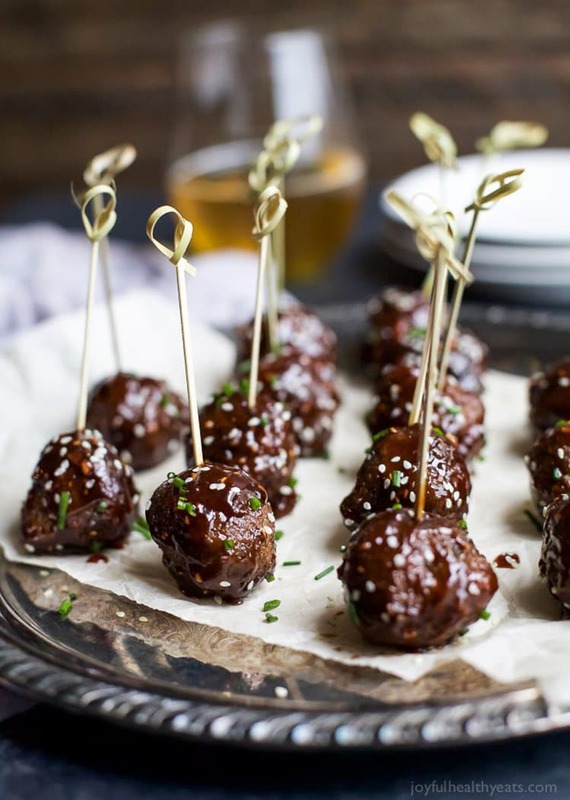 Asian Crockpot Meatballs | Joyful Healthy Eats; These Asian crockpot meatballs are an instant crowd pleaser and will be devoured in seconds! I need all of these in my face STAT! Thanks for including me love! 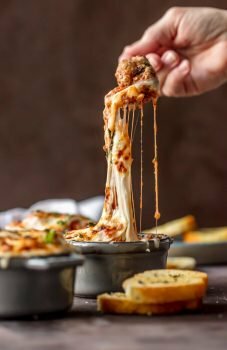 Where’s the recipe for parmesan meat sauce? Hi Veronica- Click on the title of the recipe to go to the blog where it is. Thanks! 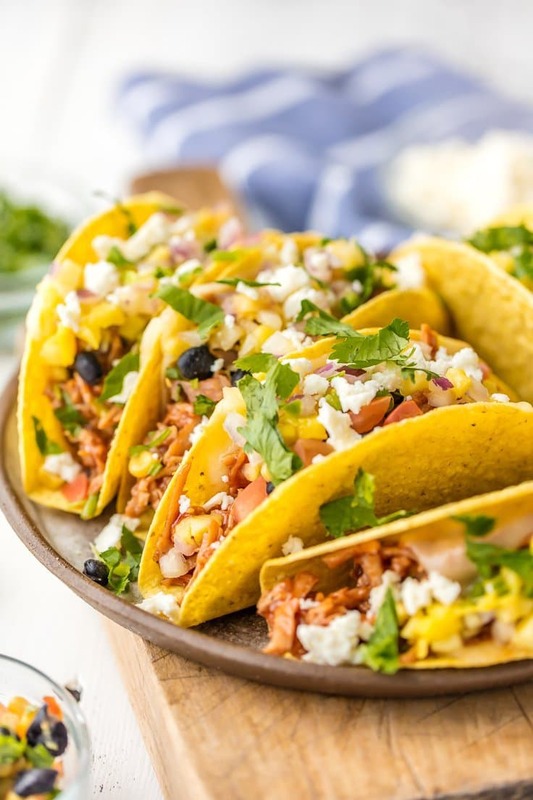 When I click on the title I get a shredded taco recipe. Could you suggest some veg food because that all are non veg .I am not against but some times people love to have veg. THANKS FOR SHARING NICE ARTICLE KEEP SHARING ! Nice dish. Thanks for sharing nice foods.